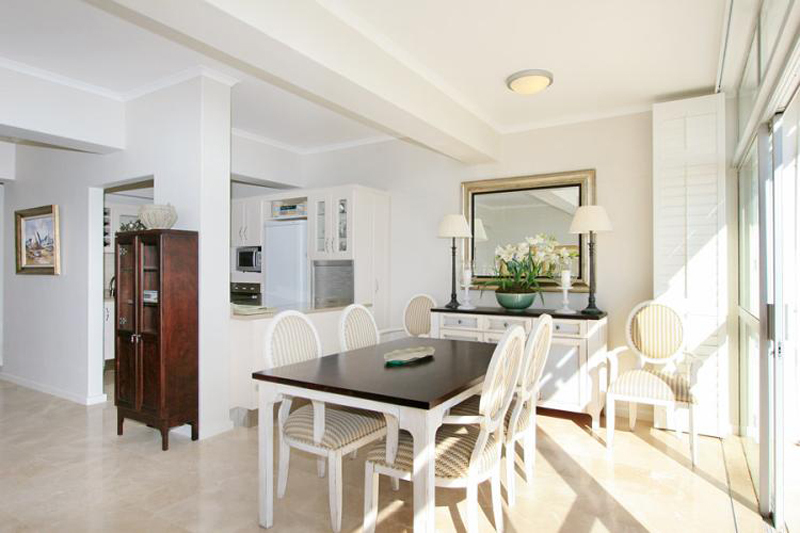 La Plantacion is a sophisticated and upmarket two and a half bedroom apartment, which despite its luxurious furnishings and fittings retains a very relaxed holiday feel. 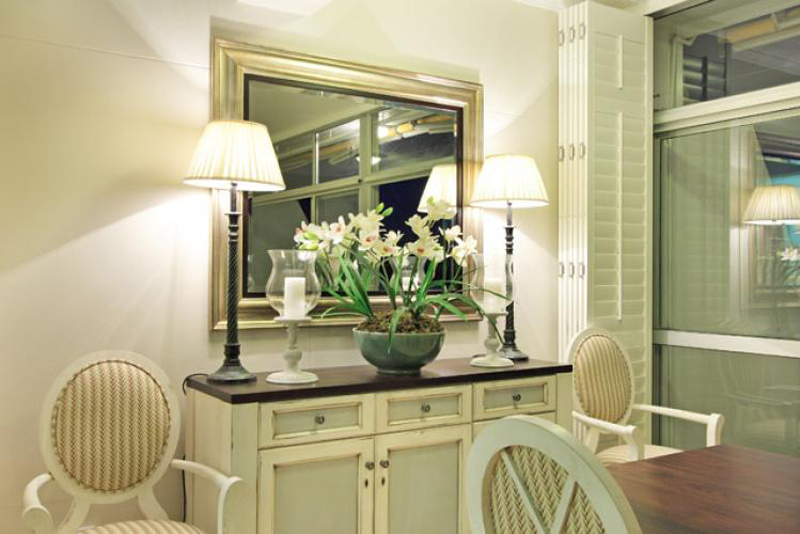 The open rooms, leading onto balconies, and the white American shutters all evoke a beach house feeling. Having said that, this is no simple holiday home, and immense care has been taken to ensure that a sense of luxury pervades the property; from the marble finished bathrooms to sumptuous beds and headboards, right through to the attention to detail that has gone into equipping the kitchen. 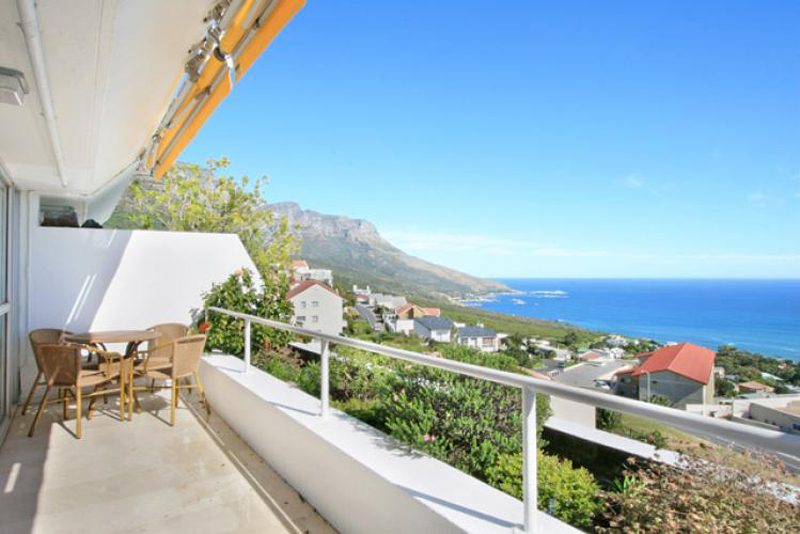 What everyone notices first about this property is the awe inspiring sea-views. 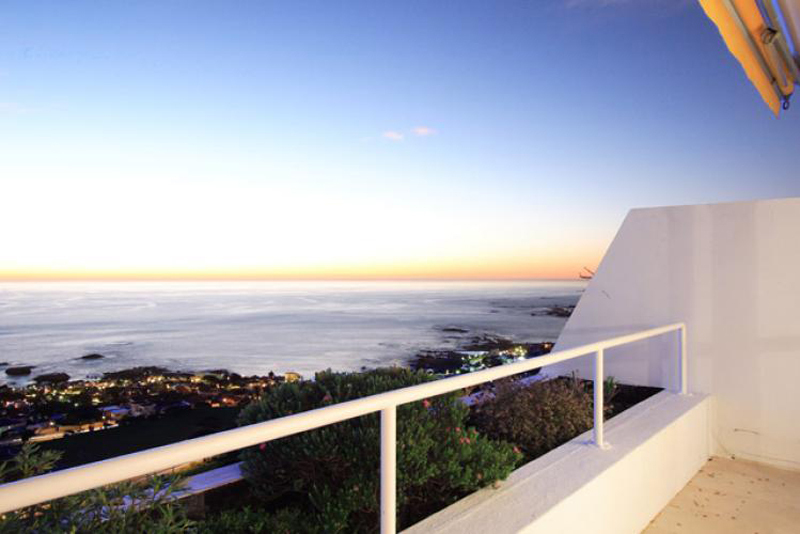 All the main living areas share an incredible view of the Atlantic, and the roof deck benefits from a 360 degree view that will amaze. 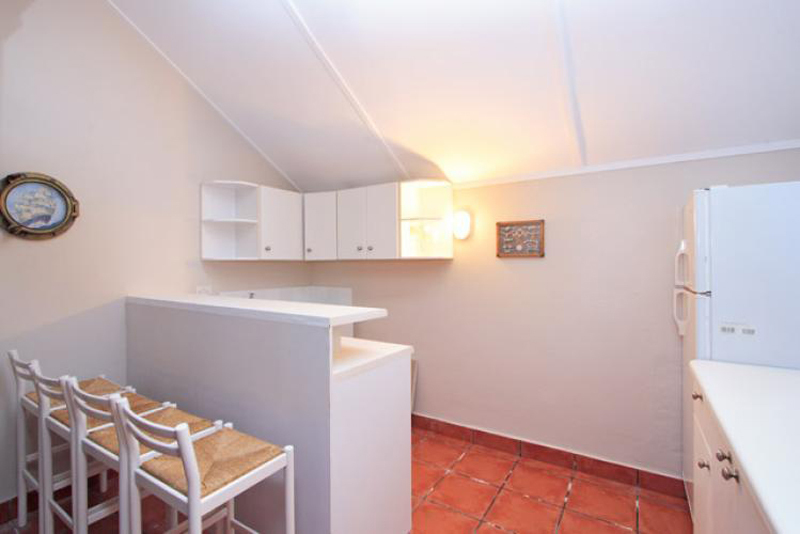 Although this is an apartment it is very private and you will not notice neighbours at all. 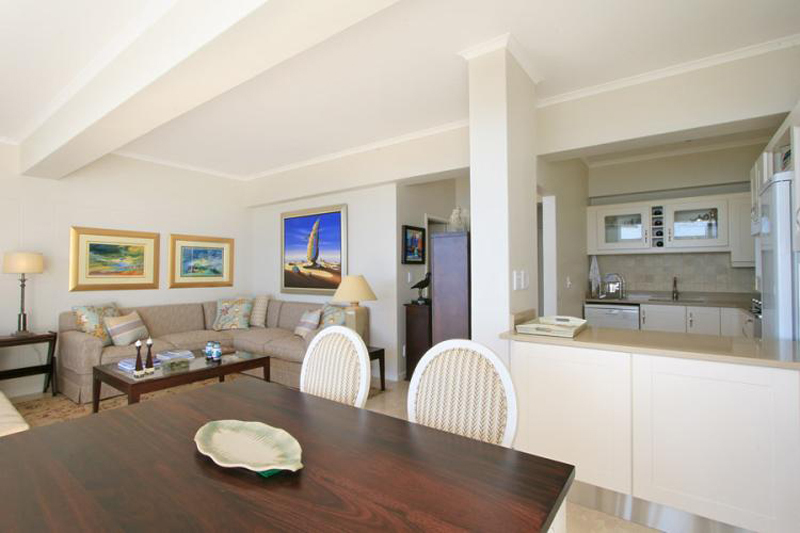 The apartment is built over three levels and it is very generous in space. 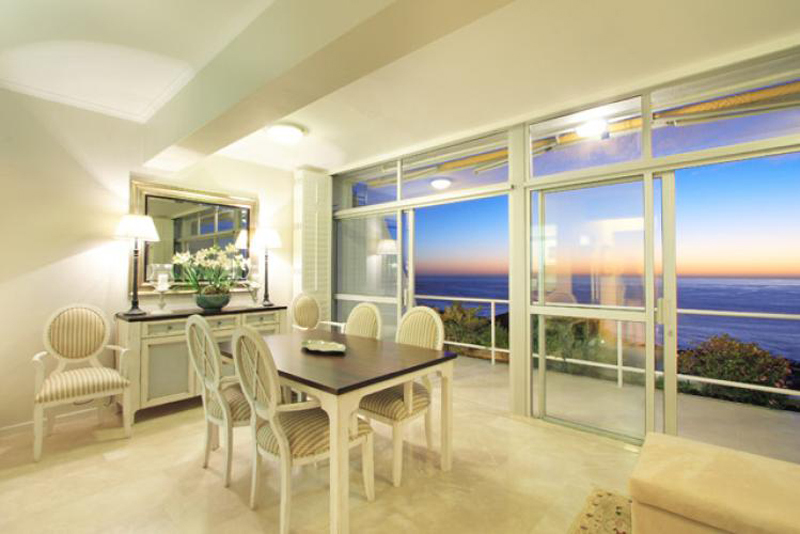 The ground floor has an open plan kitchen, lounge and dining room area with large glass sliding doors which open onto a balcony. 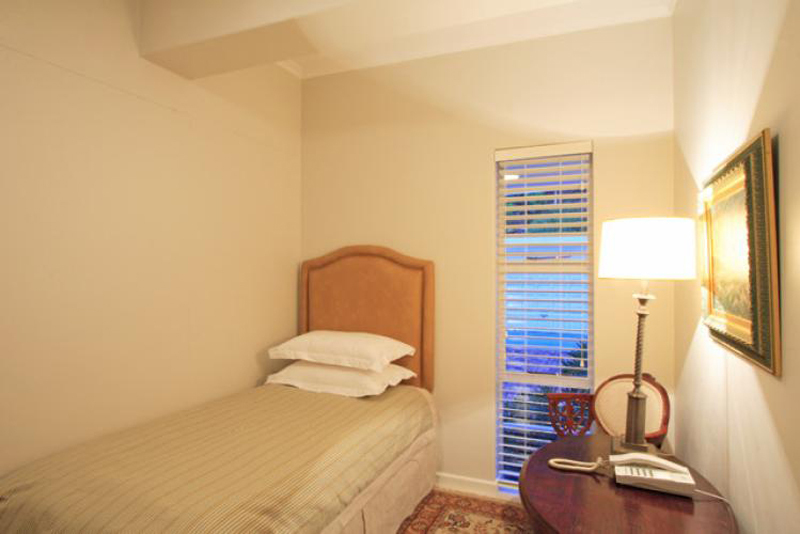 There is a small bedroom adjoining this area, which is perfect for a single person. 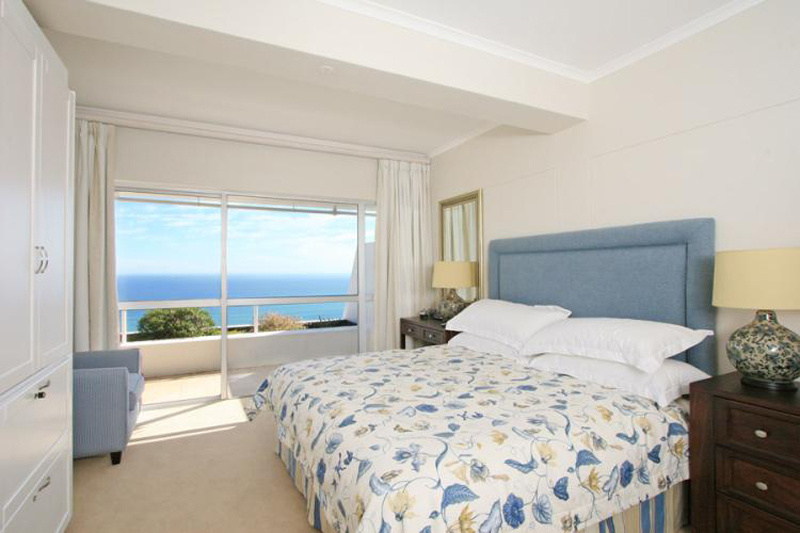 One level above is the bedroom area. 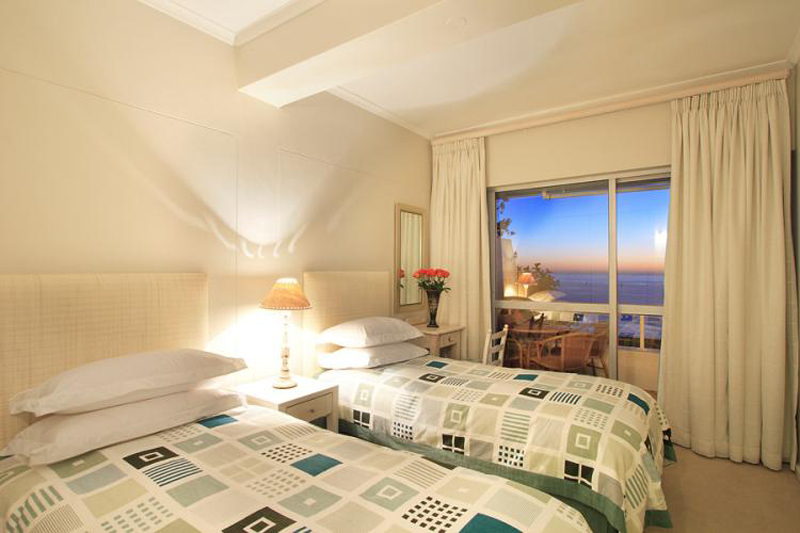 Both the bedrooms open on to a shared balcony. 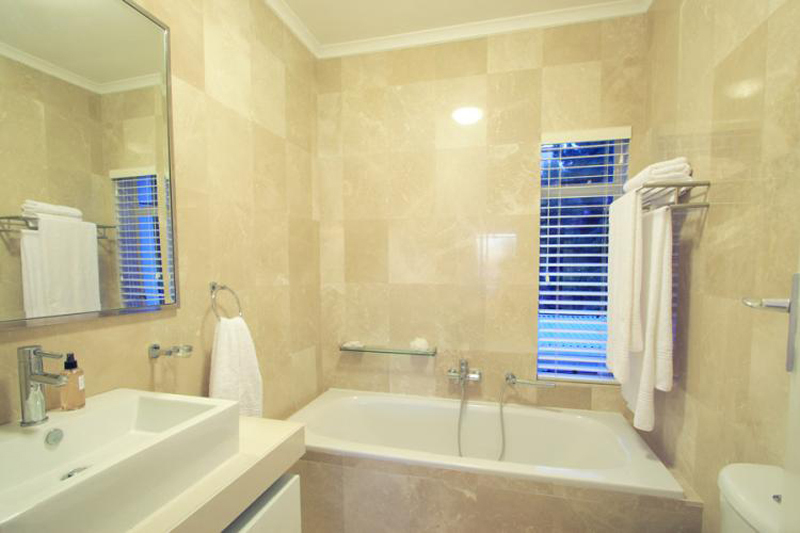 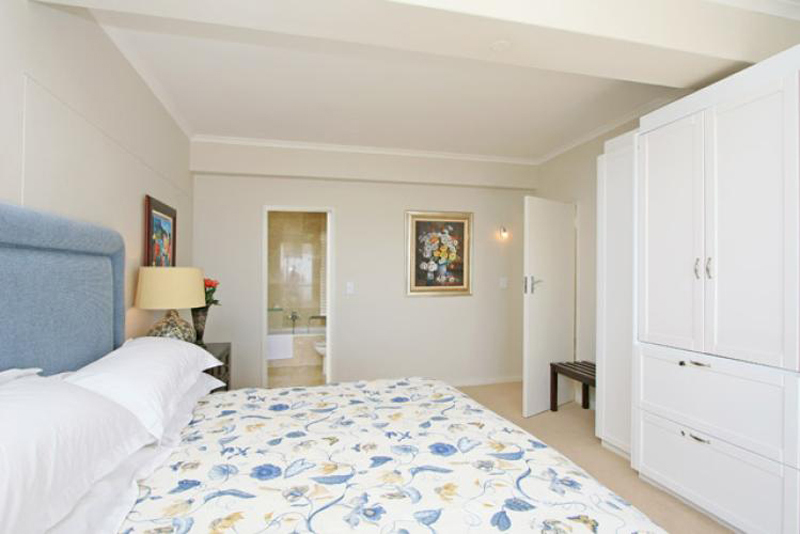 The main bedroom is en-suite with the second twin bedroom using a separate bathroom. 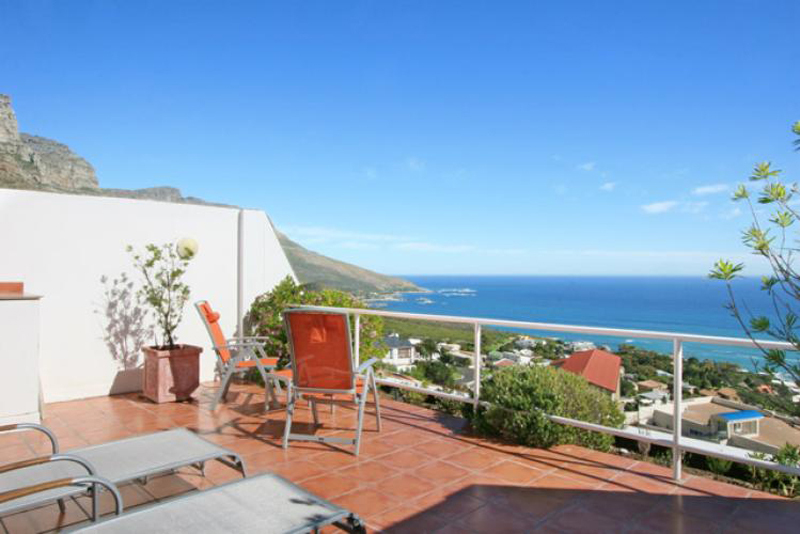 Perhaps the highlight of the property, although not as sumptuously furnished as the rest of the property, is the top level deck. 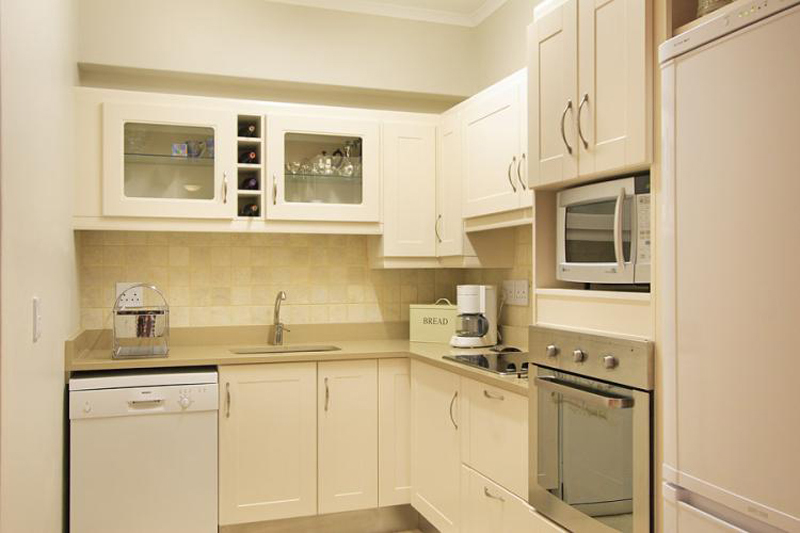 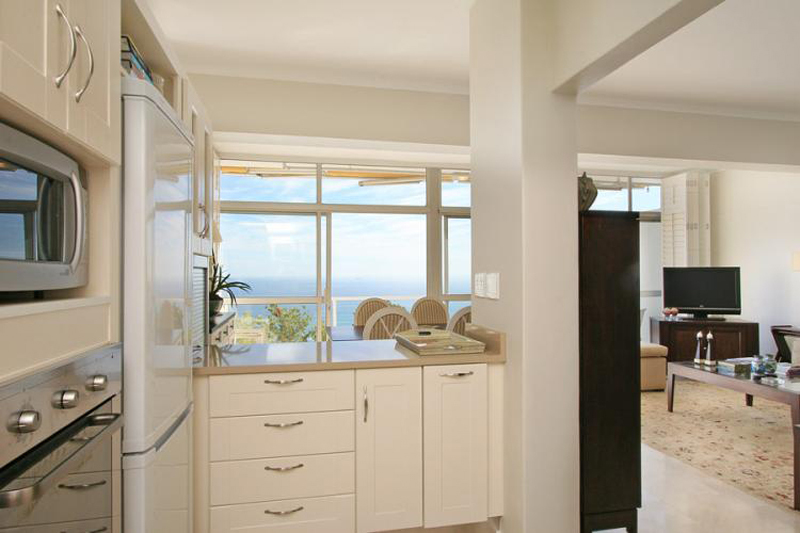 This is the ideal relaxation and entertainment area, with an adjoining area for food preparation with a fridge. 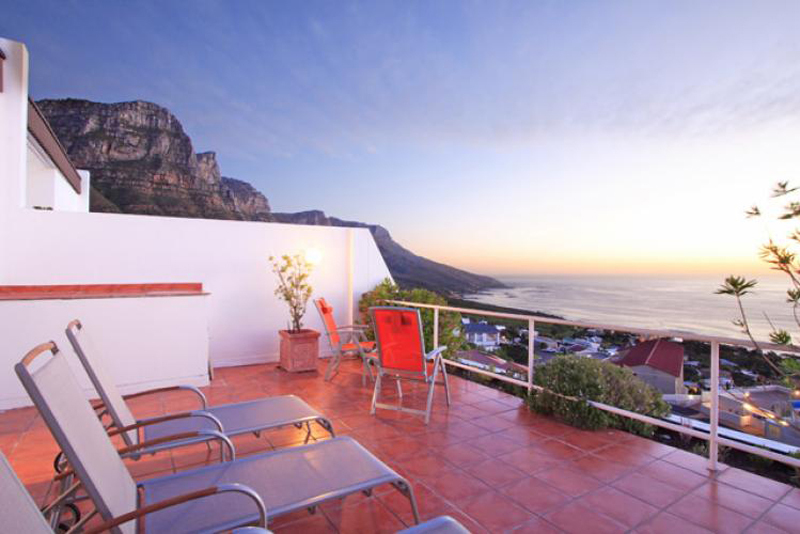 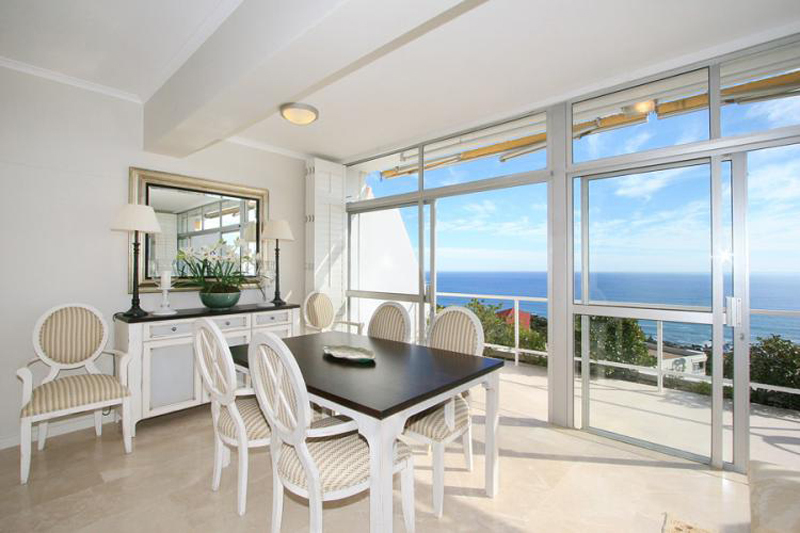 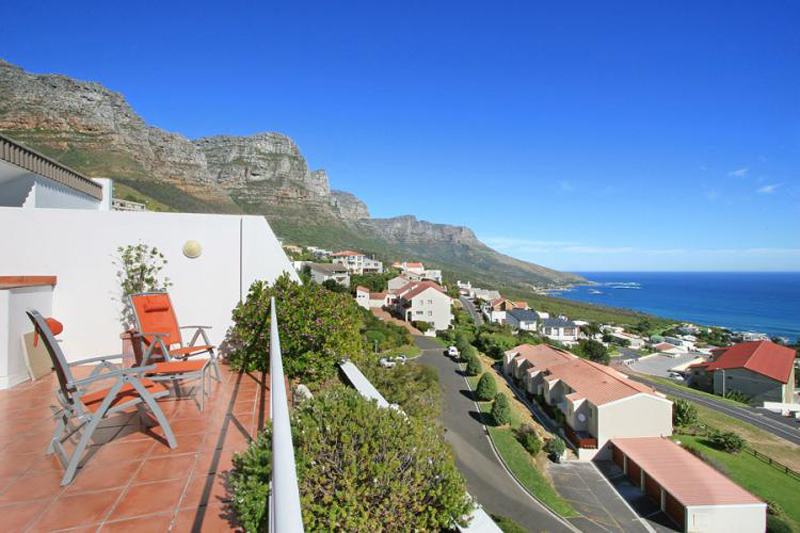 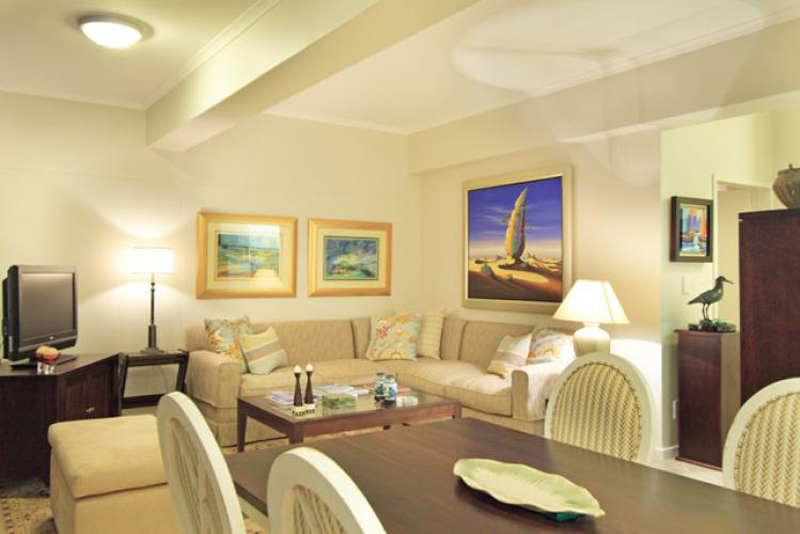 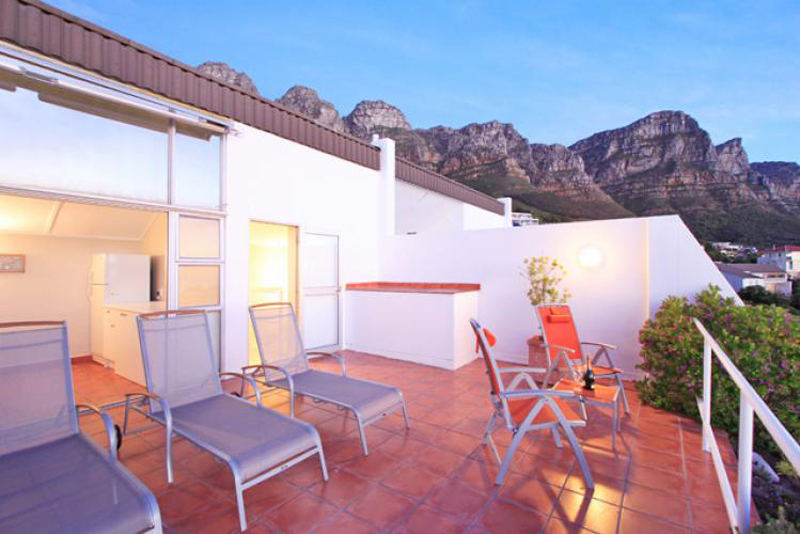 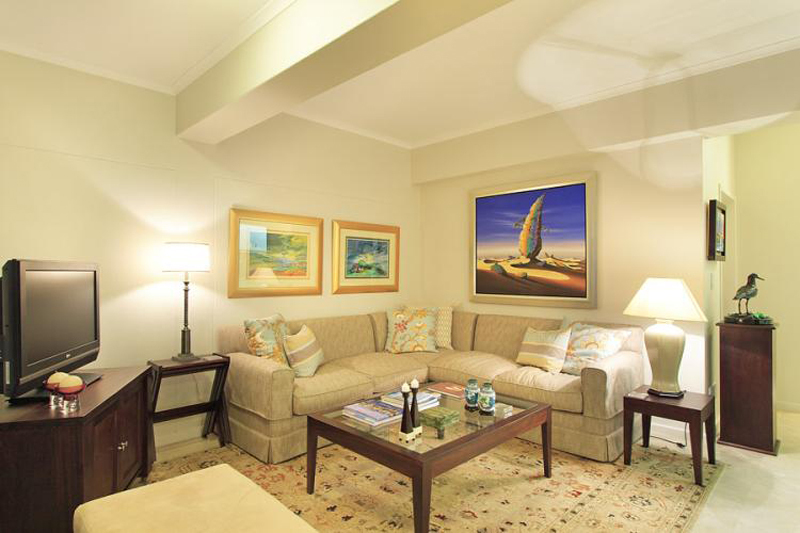 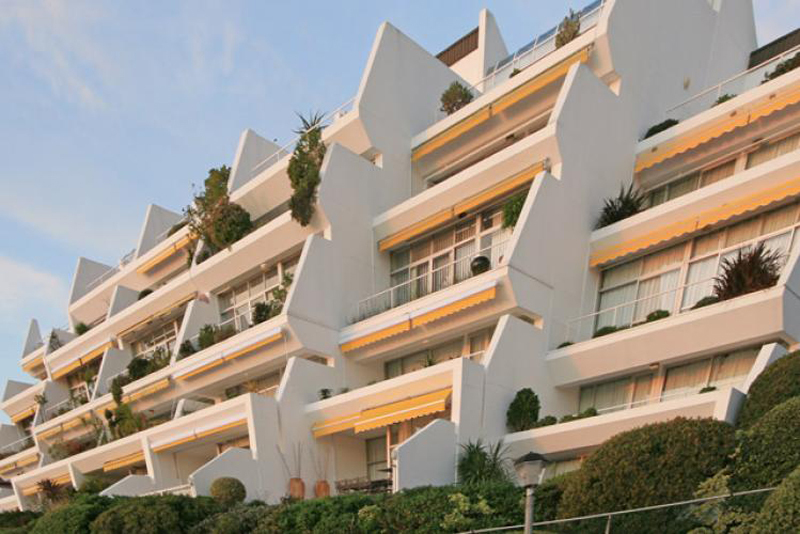 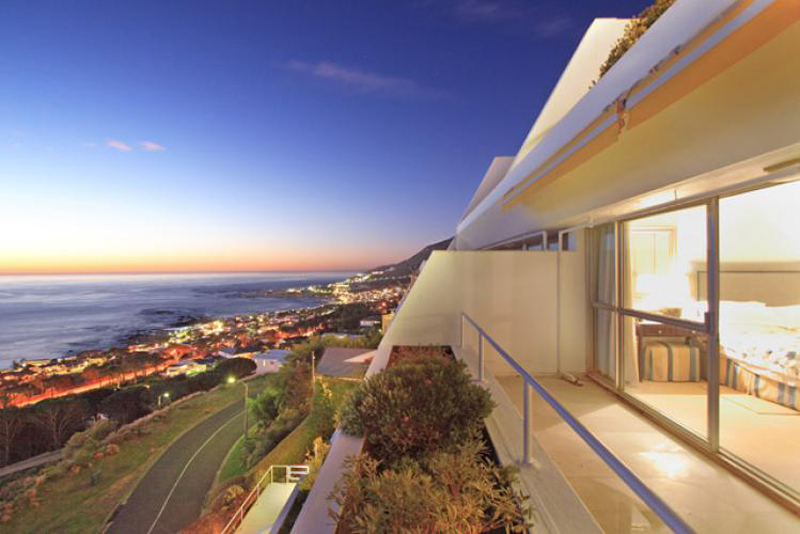 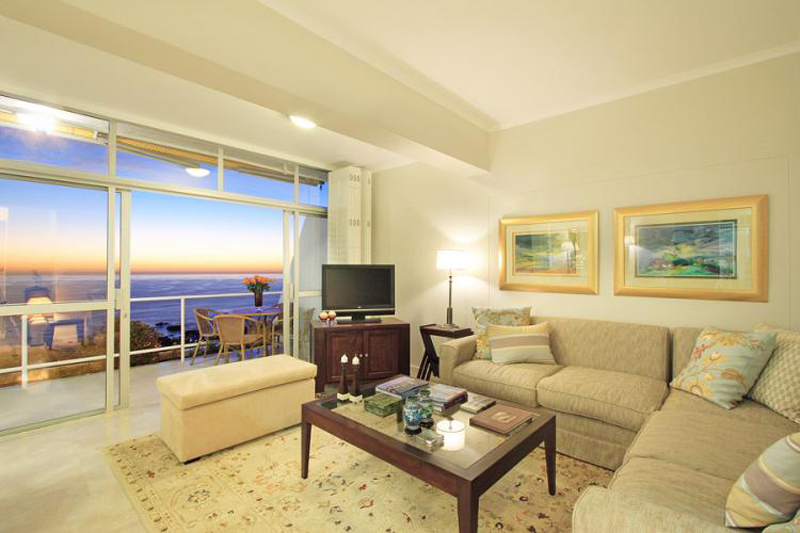 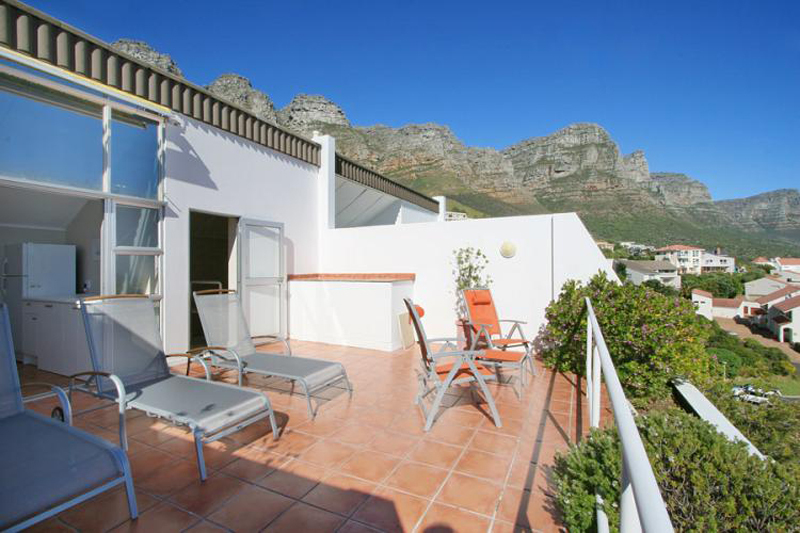 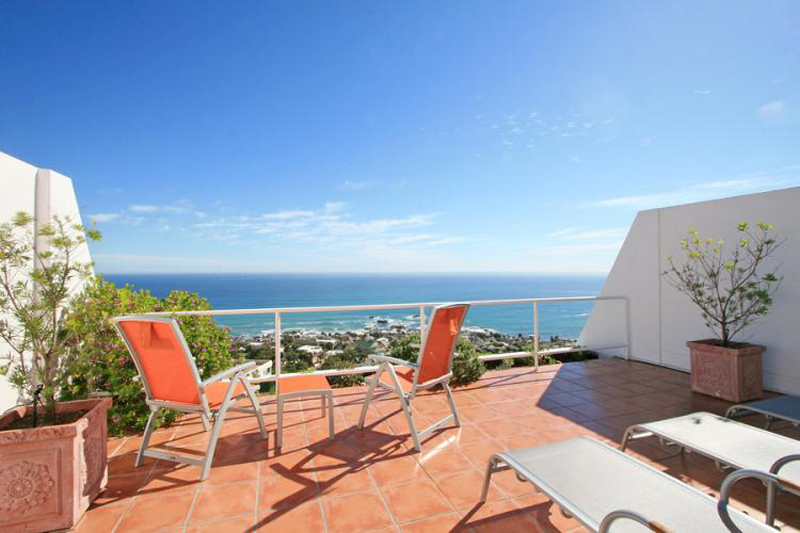 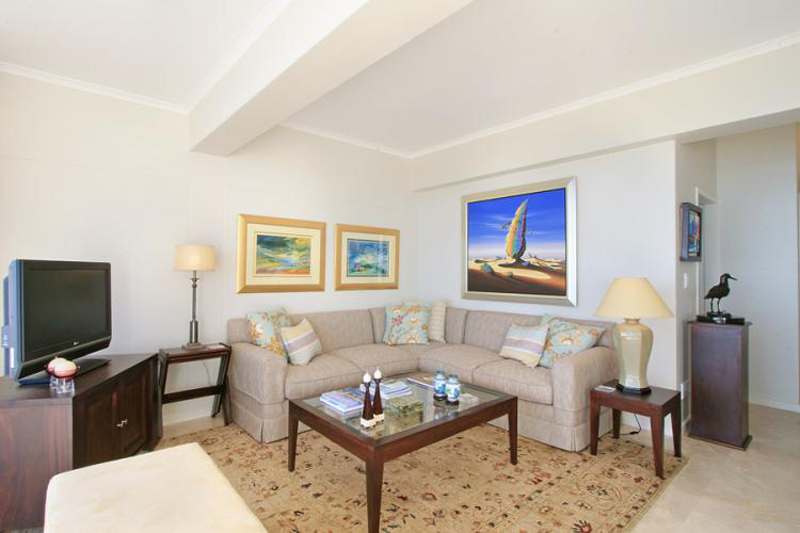 It has phenomenal views of Table Mountain, the Twelve Apostles and the Atlantic. Spend time on the deck stretched out on the sun lounges, braaiing (barbequing) with friends or enjoying a meal… This is what holidays are all about. 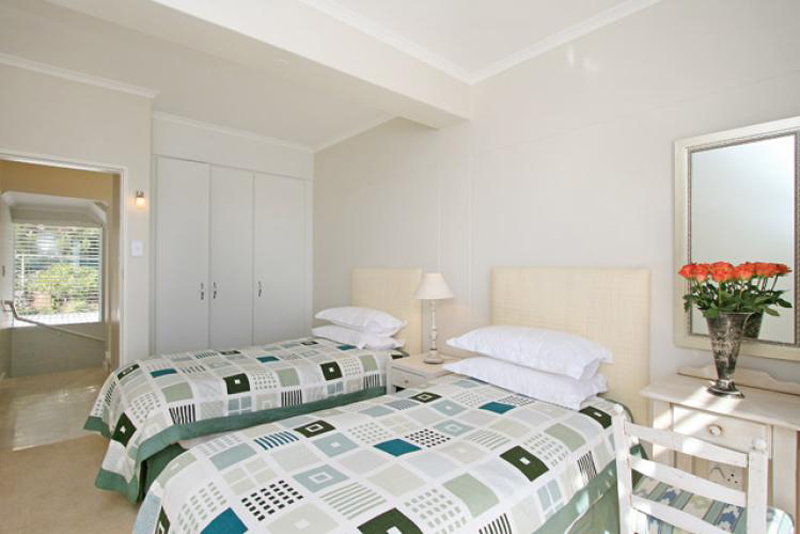 The complex as a whole also has two pools for the benefits of all guests.